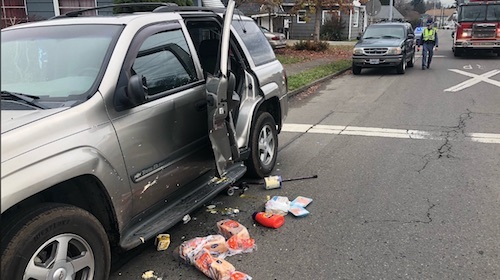 A man was struck by a car and injured while standing next to a parked SUV in Centralia on Sunday afternoon, according to Centralia Fire officials. The incident occurred in the 900 block of Alder Street. A 59-year-old man was standing next to his Chevrolet Trailblazer SUV when he was struck. Photos from the scene show groceries on the ground and the SUV’s rear door smashed backward. The man was airlifted to Harborview Medical Center in Seattle, where he was listed in serious condition. Centralia police and the Washington State Patrol are investigating the car accident. The status of the causing driver is unknown. If you or a loved one has been involved in a pedestrian accident, you are likely facing a long and arduous road to recovery. But before talking to any insurance adjusters, you should talk with a Washington state pedestrian accident lawyer about your case. We believe that every successful pedestrian accident recovery starts with the injured victim having up-to-date and accurate information about the legal process. 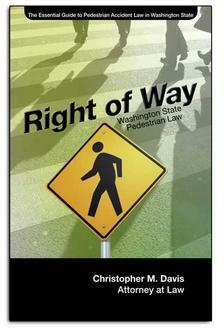 That's why our very own attorney Chris Davis has authored a free legal guide for pedestrians titled, Right of Way: The Essential Guide to Pedestrian Accident Law. We provide free copies of this book and others to accident victims and their loved ones. Even your own insurance company has interests that are adverse to yours. Their goal is to make money, and paying out for injuries means less money in their pocket. Have someone on your side fighting for you. Davis Law Group represents clients throughout the State of Washington. To schedule a free case evaluation with a lawyer, please call (206) 727-4000, use the chat feature below or fill out the form on this page to get started.